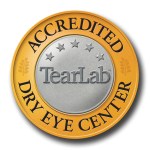 The Eye Center has been a leading innovator in the treatment of eye diseases and cataract surgery for over twenty-five years. Dr. Goltschman, along with Dr. Marvin Koenig, opened the first freestanding outpatient surgery center in the St. Louis area designed specifically for the treatment of eye conditions. The Eye Center is often the first private ophthalmology practice in the area to implement the latest technology, such as the Marco Epic 2100 Refracting System with Wavefront to enhance patient exams; the SLT laser to reduce patient dependence on costly glaucoma drops; and the Amadeus II, the first computer driven microkeratome. Latest equipment including on site SLT for glaucoma treatment, GDx Nerve Fiber Analyzer to detect glaucoma at it’s earliest stages, and the Marco EPIC 2100 computerized autorefracting lanes. There is an on site surgery center for the convenience of our cataract and other eye surgery patients. We accept Cash, Personal Checks, American Express®, MasterCard®, Visa®, Discover®, and Debit Cards. We participate with VSP, Medicare, and most insurances accepted including Opticare, Group Health Plan, United Healthcare, Blue Cross, Aetna, Premier Plus, Mercy, and Essence. Your privacy is important to us. The Eye Center complies with all federal HIPAA regulations. Contact us at (314) 838-0300 to receive a copy of our Notice of Privacy Practices or view the policy in the patient form below.